I found this flier today on Manhattan Avenue between Kent Street and Java Street. By I “Greenpoint” I am presuming this person means Greenpoint Avenue. If you have seen Mr. (or Ms.?) 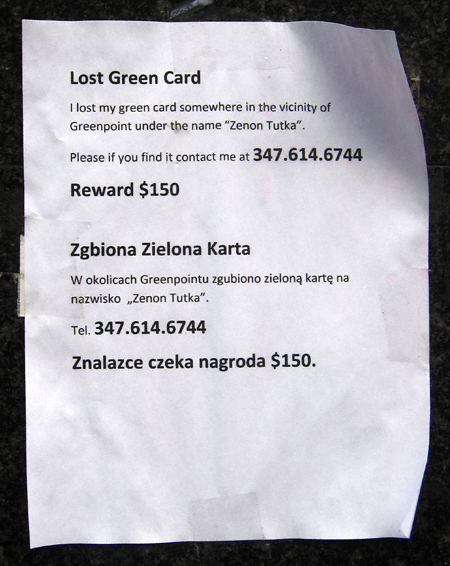 Tutka’s green card do the right thing: contact him (or her) at the above telephone number. Thanks!